Make feeding your precious ones a process that you would look forward to instead of worrying. 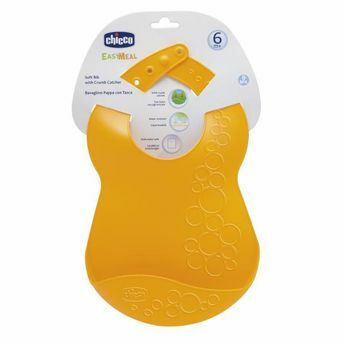 Easy to use and to clean (dishwasher safe), the new Soft Bib with Crumble Catcher by Chicco, with its ergonomic shape, is made from a soft and light material, that follows baby's movements, and allows easy feeding thanks to a smart crumb catcher. No need to bother about stubborn stains anymore.